It’s either that or the lighting. 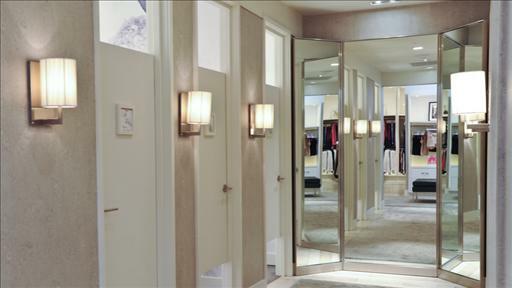 Changing room mirrors across the globe are engaged in a conspiracy to curb women’s self-esteem. The plot was unveiled by Amanda Taylor (43) of East Sheen whose suspicions were aroused when she noticed that her mood would darken after half an hour of trying on bikinis in New Look. “I’d go in all happy and that,” said Taylor, “but come out dead sad”. At first Taylor blamed innocent parties such as bright strip lighting or the baked potato she had eaten at lunch, but by process of elimination she identified her perpetrator.